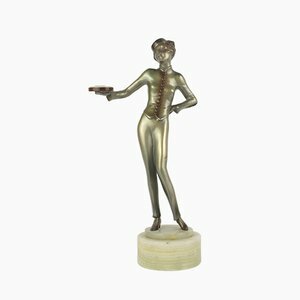 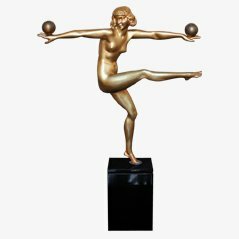 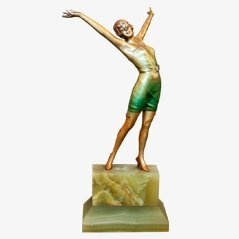 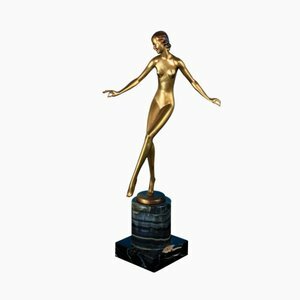 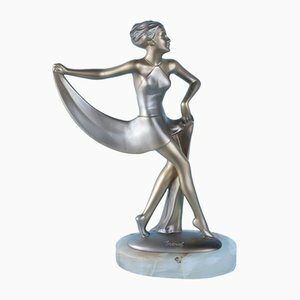 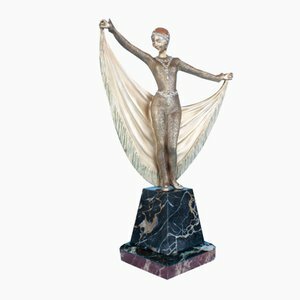 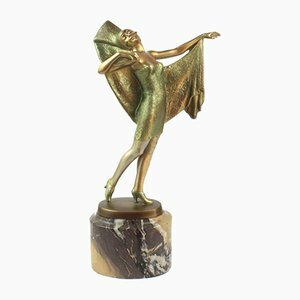 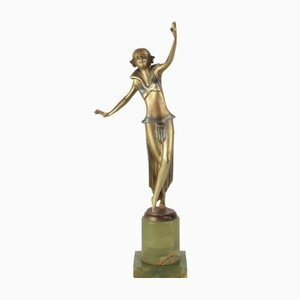 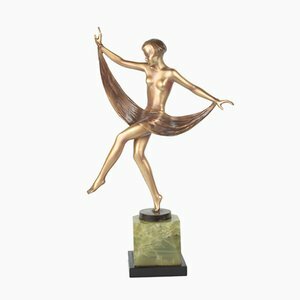 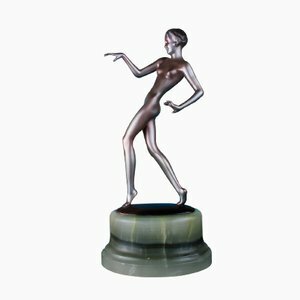 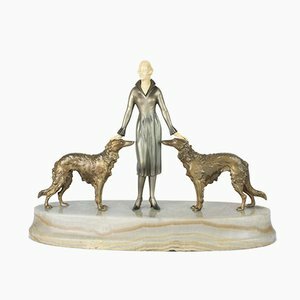 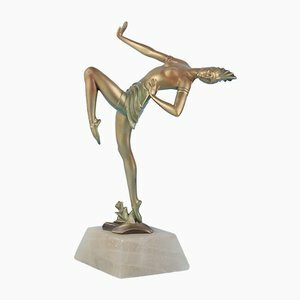 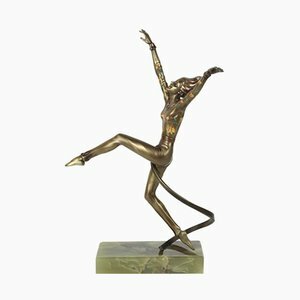 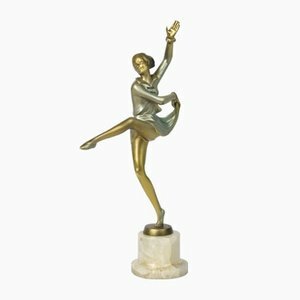 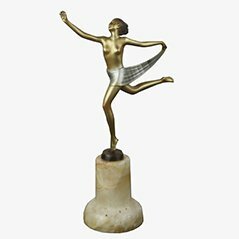 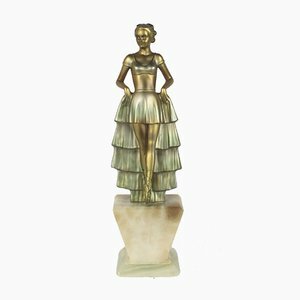 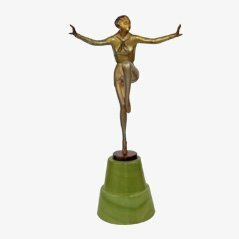 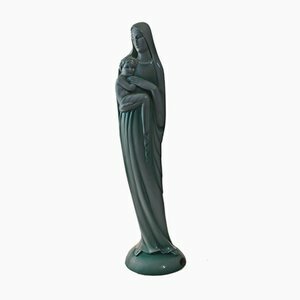 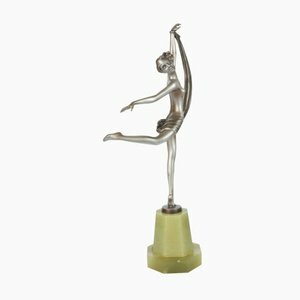 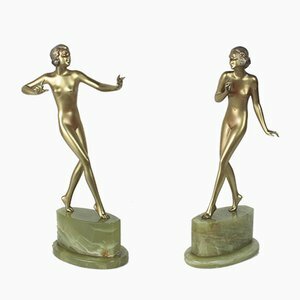 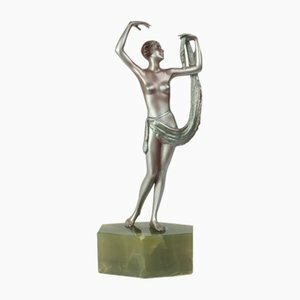 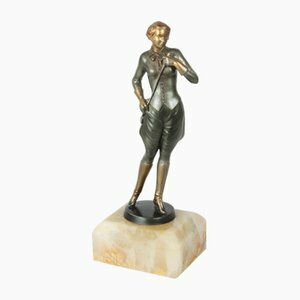 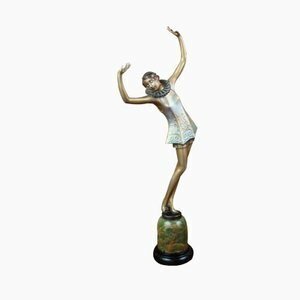 This is an Art Deco bronze figurine from Austria. 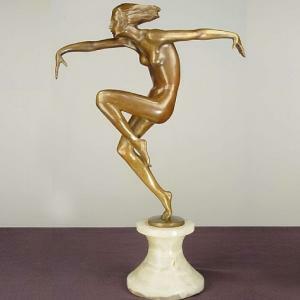 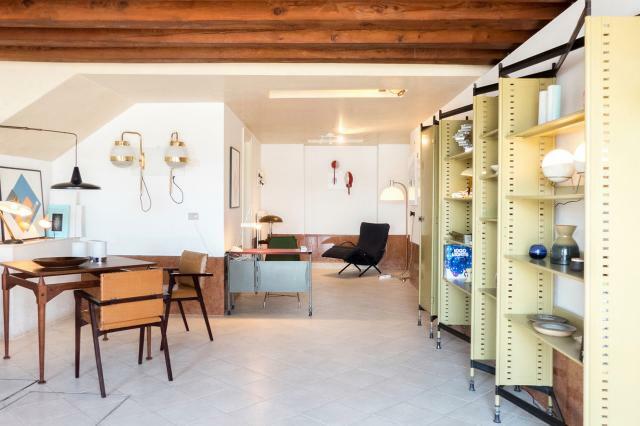 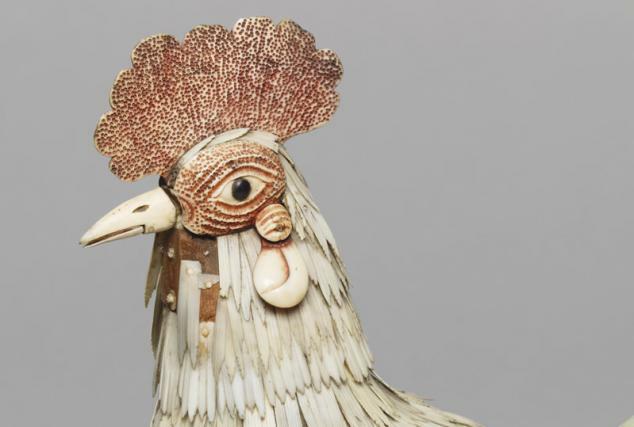 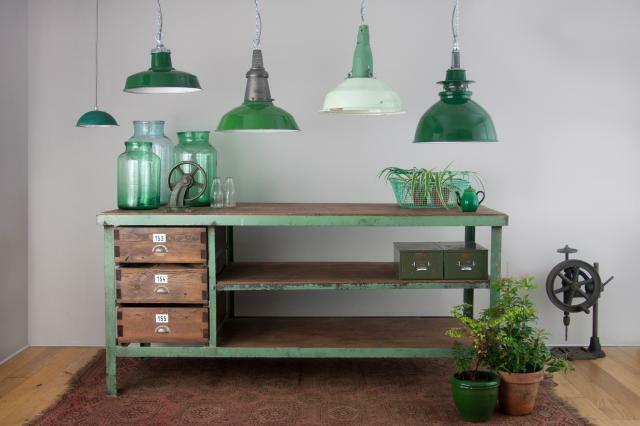 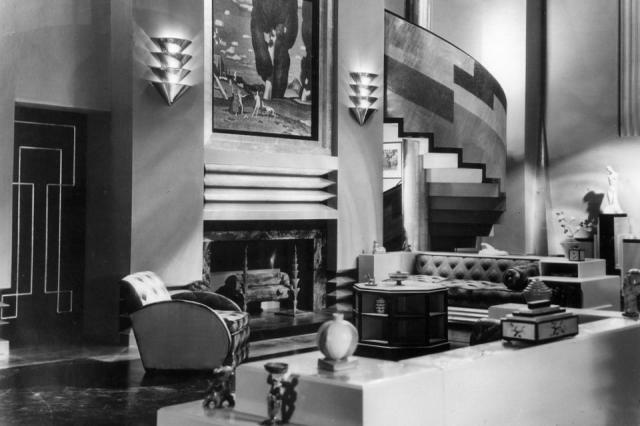 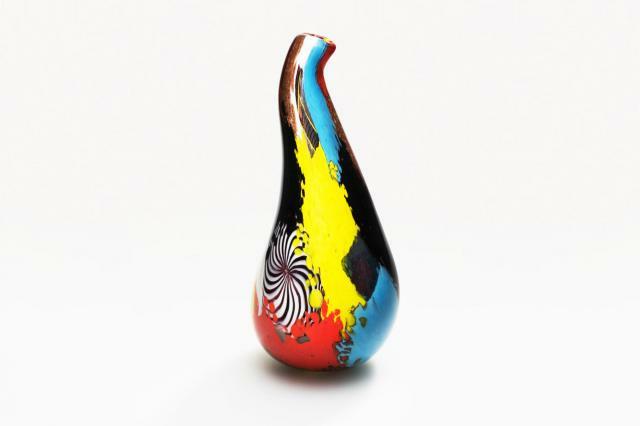 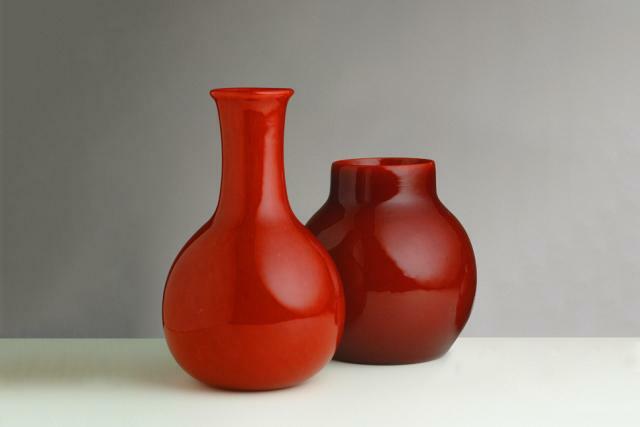 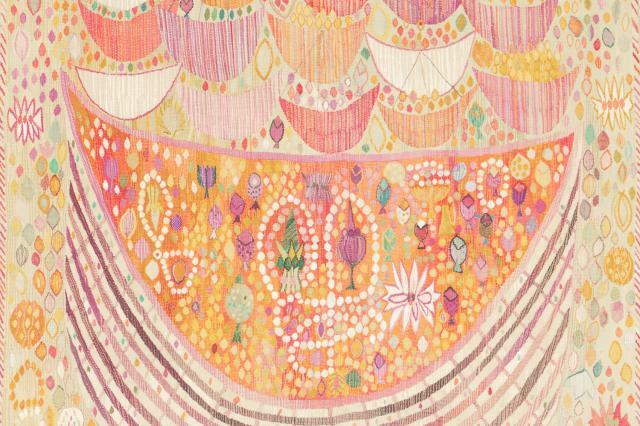 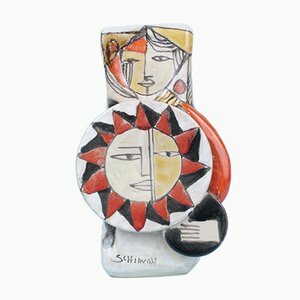 This piece was created circa the 1930s. 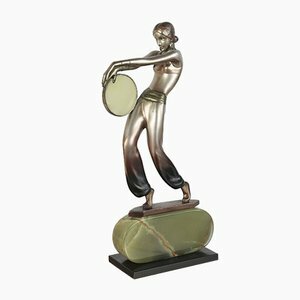 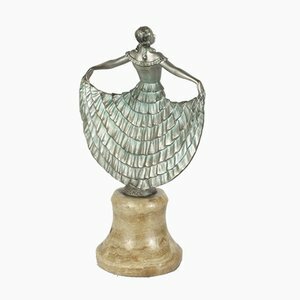 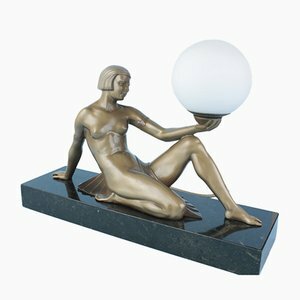 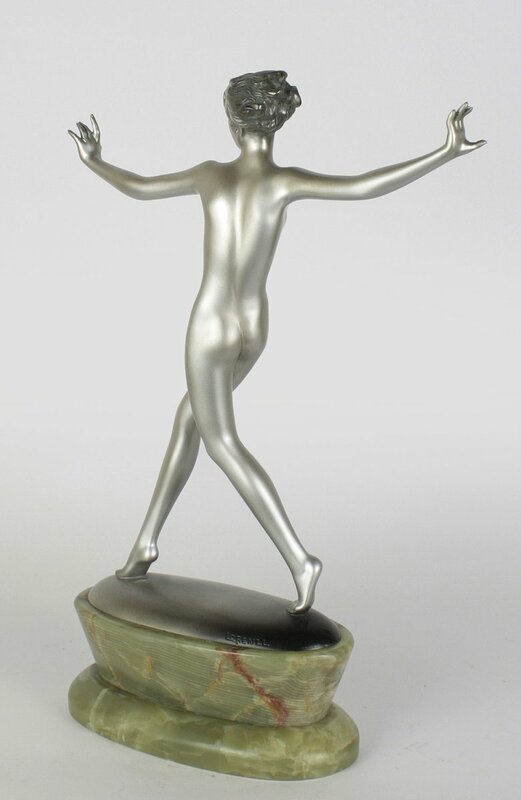 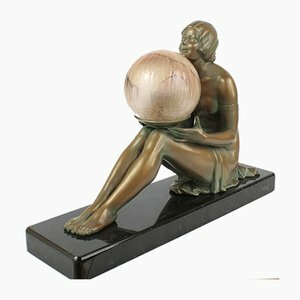 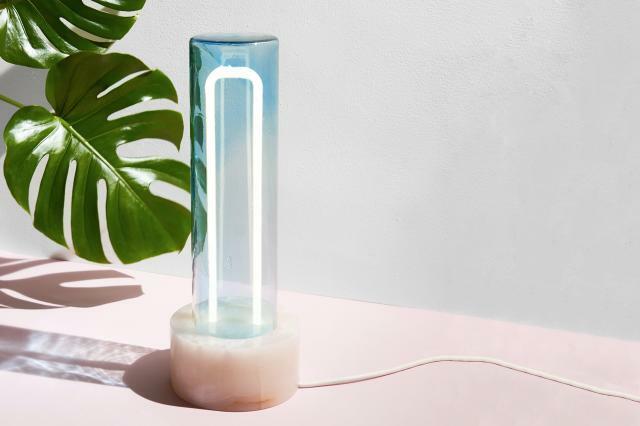 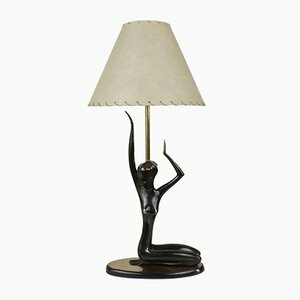 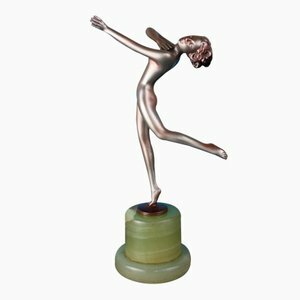 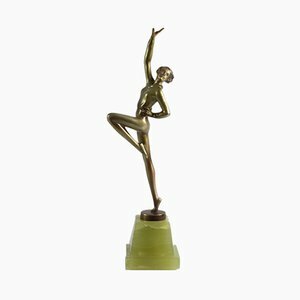 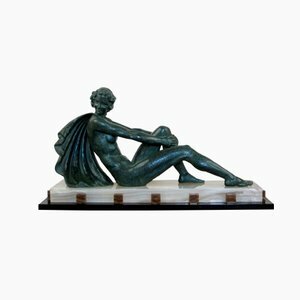 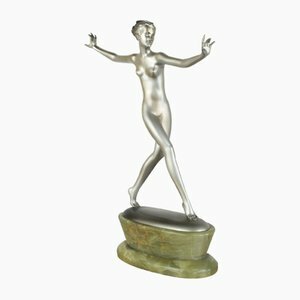 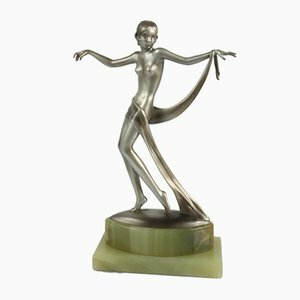 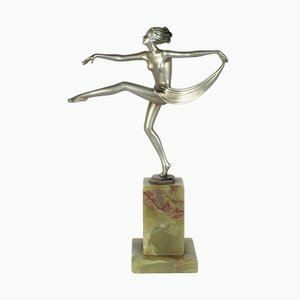 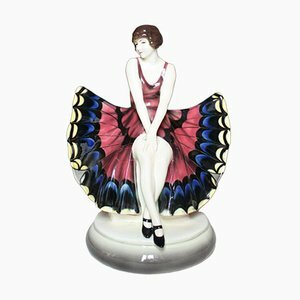 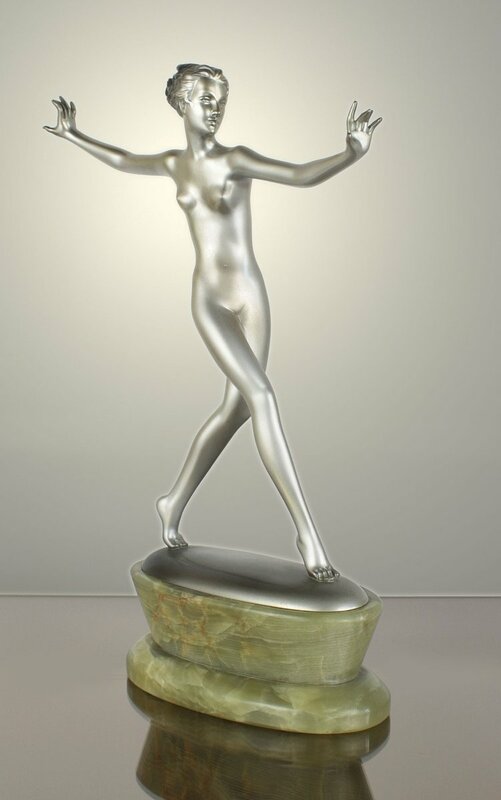 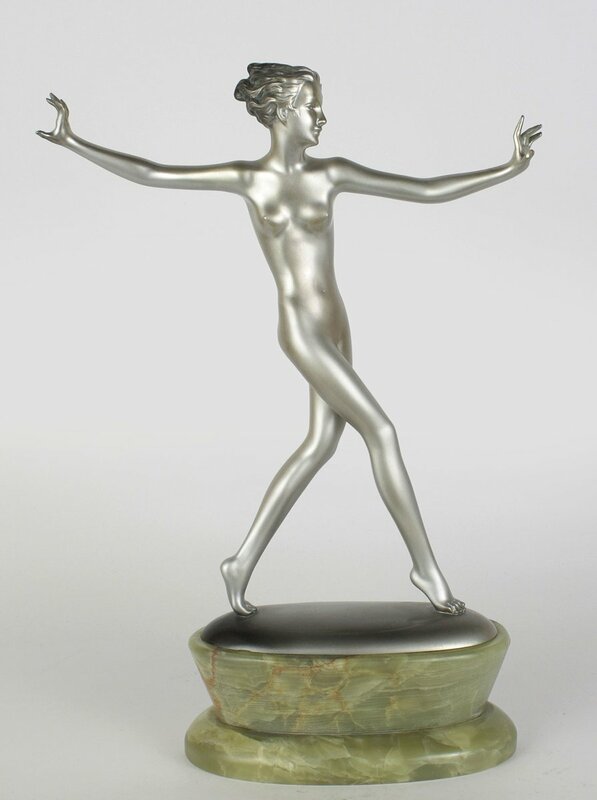 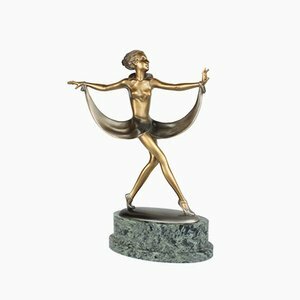 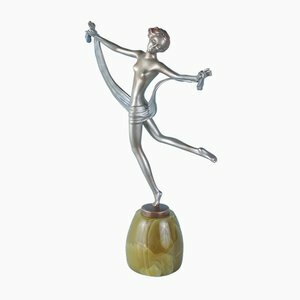 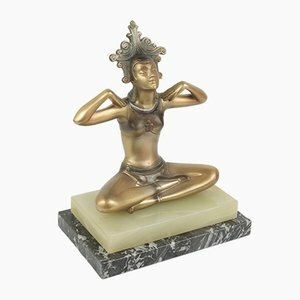 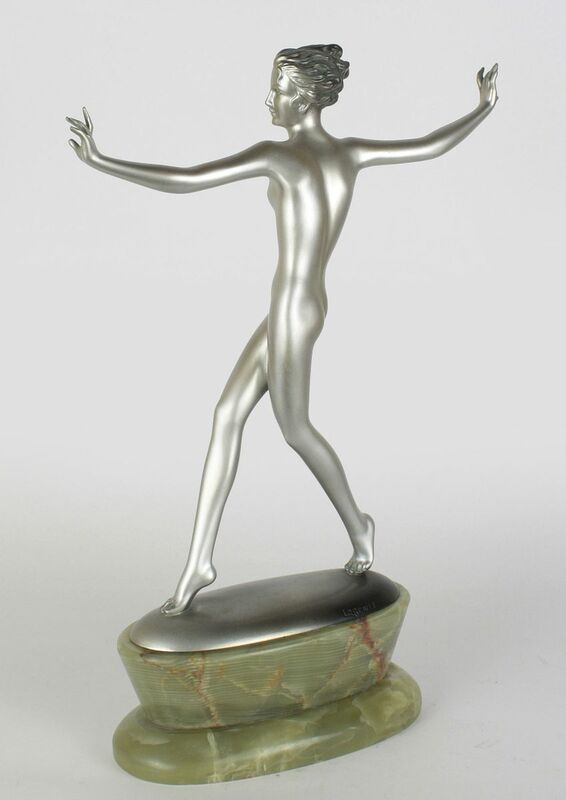 The bronze dancer is completed with a silvered and enameled finish and is mounted on a green onyx base.